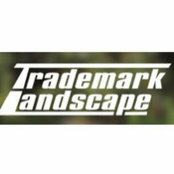 Trademark Landscape, a division of Trademark Companies, Inc., was established and incorporated in 1995 by Lorenzo and Peggy De La Garza in Phoenix, Arizona, to design, build and maintain custom landscapes to fit the lifestyles and environments of their discerning clientele. Larry brings more than 35 years of experience to the company with his expertise in mechanical, technical, electrical, survey, construction, lighting and irrigation management. 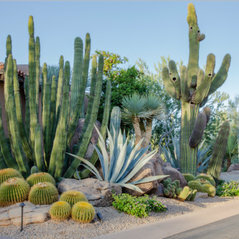 Peggy, a Phoenix Home & Garden Masters of the Southwest award winner, has more than 35 years of experience in project construction and installation. 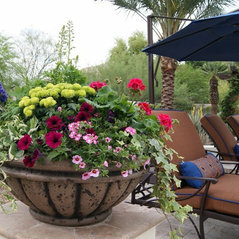 She is known for her dynamic use of color, horticultural knowledge and innovative design style and artistry. 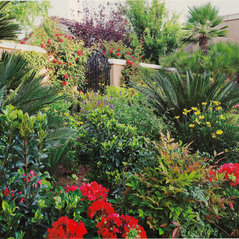 Now at the forefront of the company, Peggy continues the Trademark tradition with her award-winning designs. 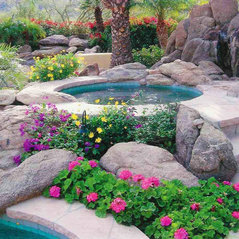 Larry currently serves as a landscape design and construction consultant.